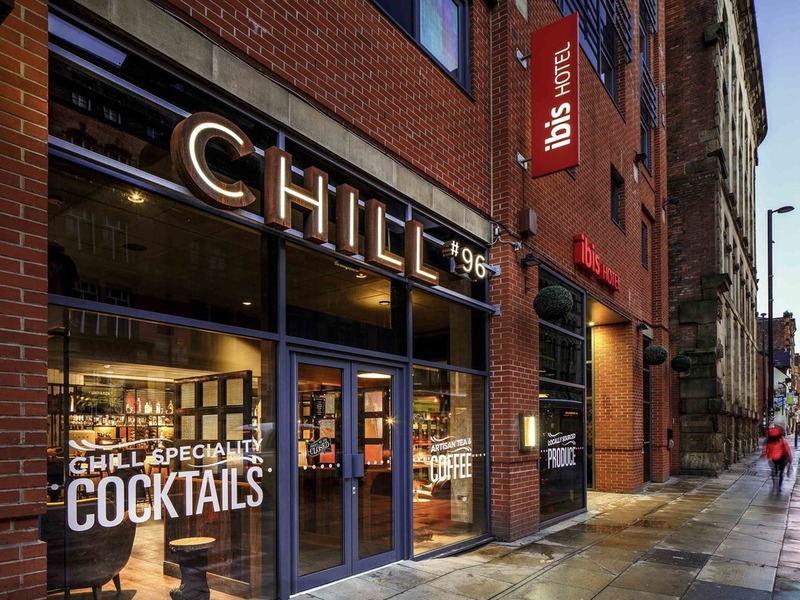 The ibis Manchester Centre Portland Street hotel is ideal for business or weekend trips to Manchester. It is located in the city centre of Manchester and is close to all the city's major attractions and shopping districts. This Manchester hotel can be easily accessed by public transportation, with Manchester Piccadilly Station only 1 km away, and Manchester International Airport a 30 minute train journey away. Each of the rooms come equipped with WiFi and satellite TV. For shopping, nightlife and urban atmosphere, you'd be hard pushed to find a better hotspot than Manchester. Pretty much all big-name bars, clubs and restaurants choose to take up residence here, and the growing economy has scored it 'beta city' status. Fancy a mid-afternoon pint or a couple of nightcaps? With chic, industrial décor and more drinks than you can shake a cocktail at, Chill #96 invites you to pull up a stool (or vintage leather armchair) and while away an hour or two with us. Very satisfied, nice staff, room, and nice breakfast. I had another very nice stay and staff was excellent as always! My minor recommendations would be that check in staff pay closer attention to the guest's special requests contained in the reservation and to try to meet these requests. In my room 422 the sink drained very slowly and may need to be cleared. Exactly what we needed for a short stay. Very welcoming. Very clean perfect location. Comfortable room, super location in city centre, great breakfast! I really love this place, from coming into the reception area, it’s relaxed, friendly greeting and efficient allocation of room. Super comfortable bed and room with compact en-suite. Breakfast layout makes it easy to eat quickly and get on to business. I feel that the staff were friendly, approachable and courteous. The room was comfortable with additional blanket if needed. Tea / coffee facilities and a separate ironing room. The hotel is good but the sound isolation is terrible, you can hear every noise coming from inside and outside the hotel. Not possible to have a good night of sleep. It was way below par my usual experience. The noise coming from outside was very revealing. It was totally unexpected. I have stayed at this hotel before and have never had such a bad experience. Great clean hotel with some minor room for improvement. The overall stay was great. It was in a a perfect location close to transport. The room was also clean. However there are some minor room for improvement. The disposable cups in the bathroom and the laundry bag were never replaced since their use. The coffee/tea were not replaced after the first day, but was on the next day. Pleasant nice hotel and great location to explore the city. Stayed at this hotel before reception/bar nicely updated since last visit. Had a very pleasant stay.They really looked after all the marathon runners.lovely goody bag when checking in.Got a good nights sleep,no noise from other guests.Breakfast at 6:30am,was great for everyone running the marathon.Will be back next year. Just the friendliest welcome ever (and that beats our previous one at the Ibis Styles also in Portland Street and that takes some doing!!) and this continued throughout the stay. The other Ibis is dominated by the bar restaurant at night and is quite noisy, so this one gets the vote, as the bar was very peaceful on both nights we stayed, but busy enough to have an atmosphere? Thank you especially to Salesian’s for CARING so much about us, but all the staff we met were the same - Ibis training is something to follow for sure!! Comfortable, quiet in spite of location. Friendly.